Professor David G. Castner received a B.S. in Chemistry from Oregon State University in 1975 and a Ph.D. in Physical Chemistry from the University of California at Berkeley in 1979. After spending seven years as a Research Chemist at the Chevron Research Company, Dave moved to the University of Washington (UW) and joined the National ESCA and Surface Analysis Center for Biomedical Problems (NESAC/BIO). In 1996 Dave assumed his current role of NESAC/BIO Director. He is a Professor of Bioengineering and Chemical Engineering at the UW. Dave was Director of the UW Center for Nanotechnology from 2004 to 2005 and was the UW College of Engineering Associate Dean for Infrastructure from 2009 to 2012. He served on the American Vacuum Society (AVS) Board of Directors from 2005 to 2007 and was the AVS President in 2010. He is an AVS Fellow, American Institute of Medical & Biological Engineering Fellow, and a Biomaterials Science and Engineering Fellow. He received Riviere Prize in 2014, the Clemson Award for Basic Research in 2004, and the Excellent in Surface Science Award in 2003. He currently also serves as the Director of the Molecular Analysis Facility in the Molecular Engineering & Sciences Institute at the UW. 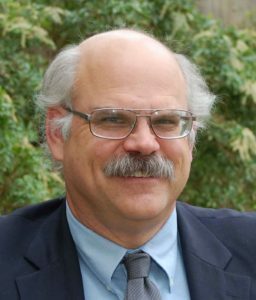 Prof. Castner has an active research program in the areas of surface analysis, surface modification, biomaterials and organic thin films. He has co-authored more than 225-refereed publications and given more than 200 invited presentations.